Zycortal There is 1 product. 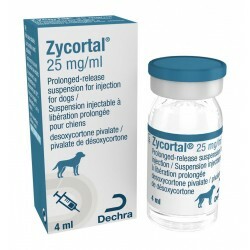 Zycortal is the new licensed treatment for Addisons Disease in Dogs and replaces Florinef Tablets. VETERINARY PRESCRIPTION REQUIRED.